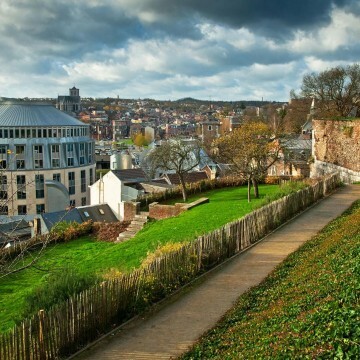 Founded in the XIXth Century, the University of Liège (ULg) is one of Belgium’s largest universities with approximately 18.000 students and 2.800 researchers and scholars. The university campus is located in the outskirts of the city. Getting to the city centre is simple – regular public buses travel to and from the city centre in approximately 15 minutes. It has a state of the art railway station and offers a high speed rail network linking the city to Europe – Brussels (90km), Antwerp (120km), Cologne (120km), Luxembourg (140km), Amsterdam (340km), Paris (380km) and London (430km), while Maastricht is a stone’s throw away. Each year, the LL.M. is attended by a group of 25 to 30 students (maximum number of enrolled students). The seminar size of the student group ensures high-quality training, fosters emulation through discussion, and provides students with a convivial atmosphere in which they can thrive. A majority of our students originate from Belgium and Western Europe. In addition, the LL.M. often welcomes students from Eastern Europe, South America and Asia. The LL.M. boasts a truly international faculty which comprises internationally renowned experts in the fields of competition and IP law. Most of the professors can call upon vast amounts of practical experience, acquired in prestigious law firms, companies or public institutions. This guarantees that the training offered to our LL.M. students is tailored to meet the needs of potential employers. Each year, our LL.M. students are invited to visit to one of the EU institutions. This study trip offers students a unique opportunity to discover the inner-workings of a major EU institution. During the trip, students are guided by a lawyer fami­liar with the institution. They are also invited to meet high-ranking officials. The study trip is an integral part of the acade­mic programme. The LCII has established a partnership with the e-Competitions online journal. Under this partnership, LL.M. students are offered the op­portunity to co-author case notes on Belgian competition law cases, which are subsequently published under their name in an international online law journal (www.concurrences.com). Students are also given the opportunity to par­ticipate in several Moot Courts. A few years ago, a team of our LL.M. students won the prize for the best submission in the Competition Law Moot Court organised by the College of Europe, Belgium. In 2010, a team composed of four LL.M. students won the Competition Law Moot Court organized by Lamy publishing. In 2015 a team composed of five LL.M. students was selected to take part to the final round of the EU Law Moot Court. Each year, the LCII organizes several conferences on European, Competition or IP law issues, to which the LL.M. students are closely associated. These events give our students the op­portunity to network with IP and competition professionals.